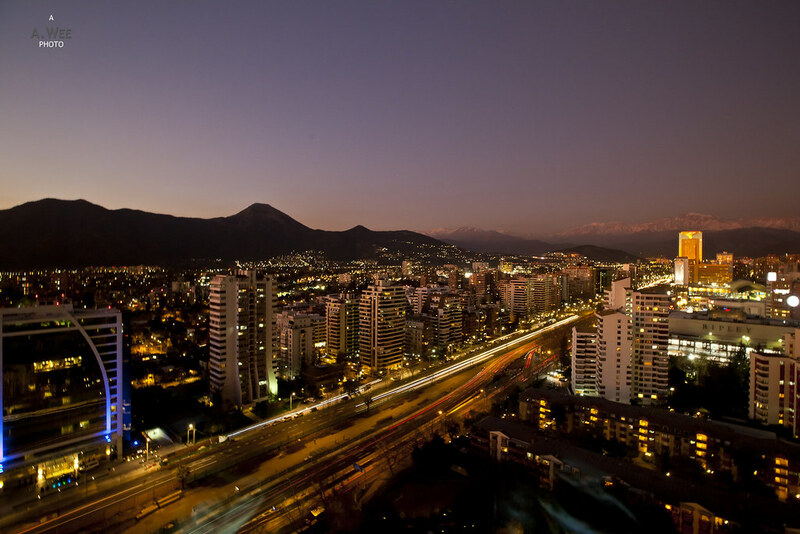 Since I was going skiing and I did not want to pay the exorbitant rates to stay in the all-inclusive resorts in Portillo and Valle Nevado, I continued my stay at Santiago. Though I moved to be closer to Ski Total so I could make my own way for the morning shuttle to the ski resorts. 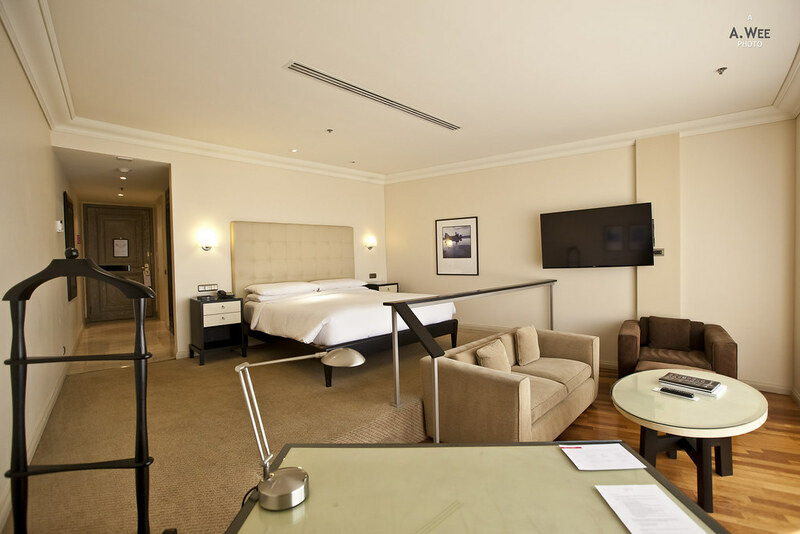 As my main purpose was to save on accommodations, I paid the cash & points rate for my 3 nights stay at the Grand Hyatt Santiago. 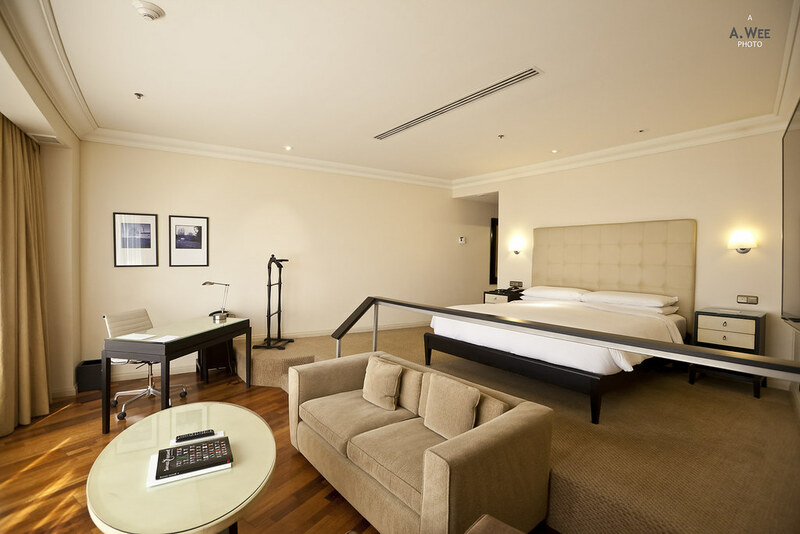 This meant a rate of $55 + 4,000 Hyatt Gold Passport points, compared to a best available rate of around $300+ online. 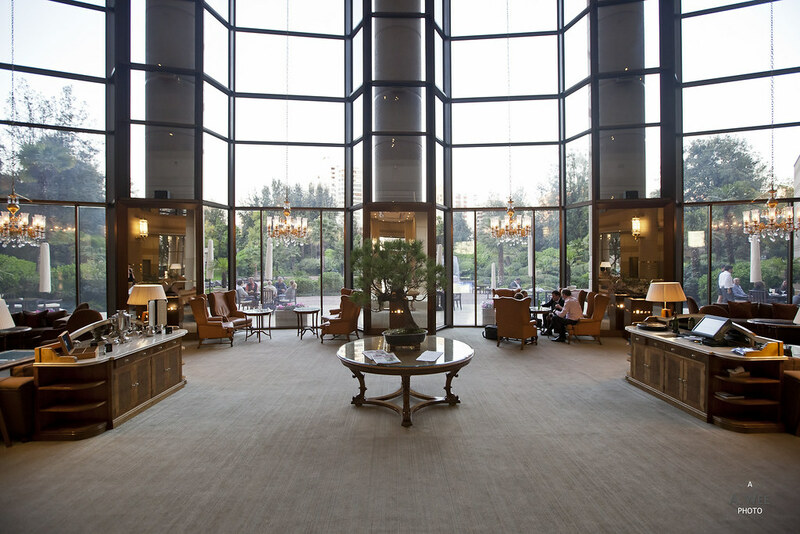 Having stayed for 3 nights at Bellas Artes, the neighbourhood of Las Condes where the Grand Hyatt was located at, was strikingly different. Here modern skyscrapers fill the streets and more cars mean heavier traffic and expect some delays for those intending to commute by car or taxi. 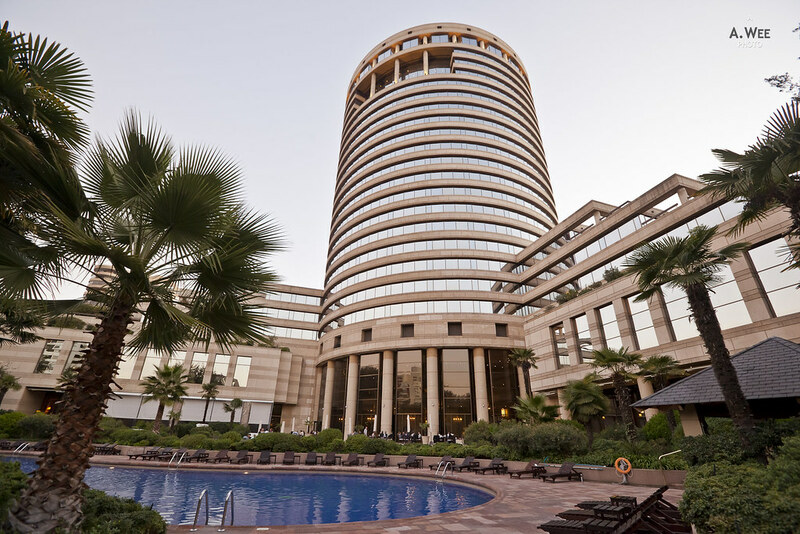 As a hotel, the Grand Hyatt is not as well located since the nearest metro is a bit of a walk at Escuela Militar. Though it was of little issue for me since I was going skiing anyway. Once my Uber car pullied into the driveway, assistance was provided for my luggage by the bellboy. This was appreciated as I was travelling with my snowboard. Inside, it feels nice to be back in a real grand hotel with a wonderful atrium. 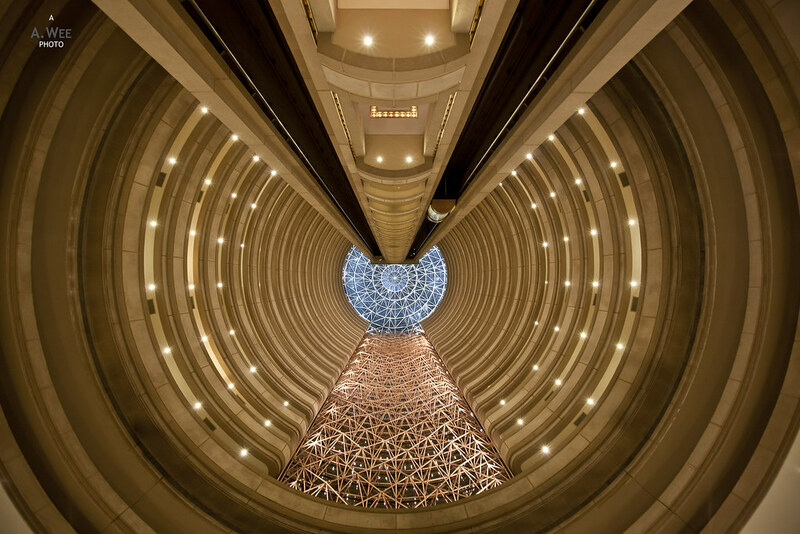 I even posted a photo of the skylight atrium on Instagram and mentioned how Hyatt hotels usually have the nicest hotel atriums. 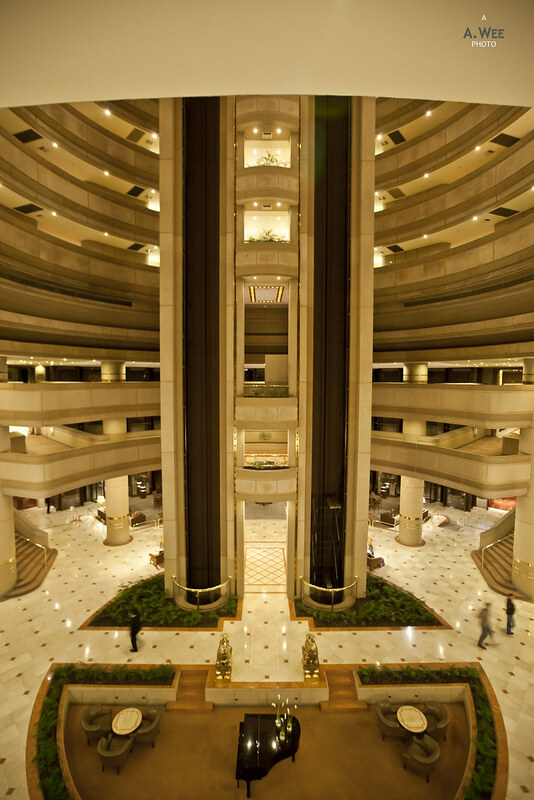 The reception is located on the right of the atrium once guests enter and the friendly receptionist invited me to head to the Grand Club lounge on the 15th floor to continue with the check-in but I just requested for the check-in to be done at the ground floor. For some reason, I did not really expect the cash and points redemption to allow me to get the Club rooms since it was supposed to be for the standard rooms and my ‘Diamond’ status with Hyatt expired last year leaving me as a mid-tier ‘Platinum’. I was assigned a room close to the elevator and just one floor above the Grand Club lounge. There is a staircase beside the room to the Grand Club making it really convenient. Definitely feels nice right from the start when the reception provides you with such a well located room! This room was definitely larger than my previous hotel room in the old town with a large wardrobe and luggage storage bench located along the entryway into the room. 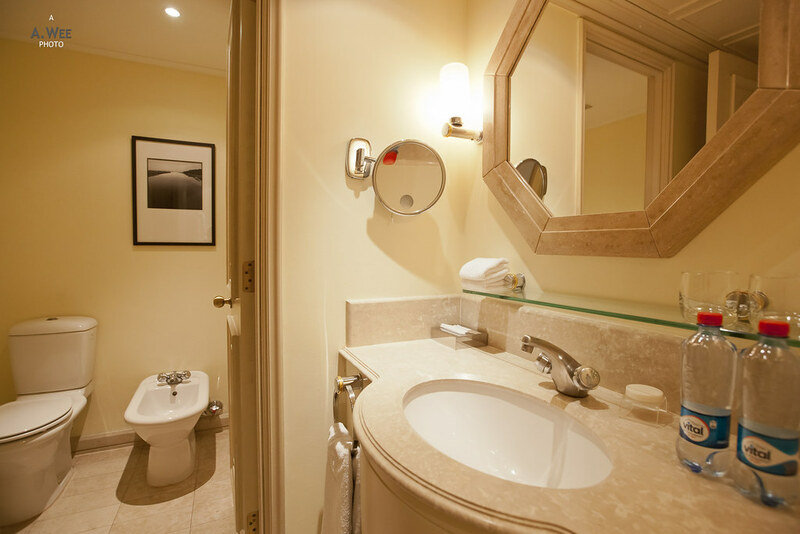 On the left, the bathroom itself is split into 3 sections with the toilet and bidet on the left, the shower on the right, and the sink in the middle which is also the entry into the bathroom being in the middle. 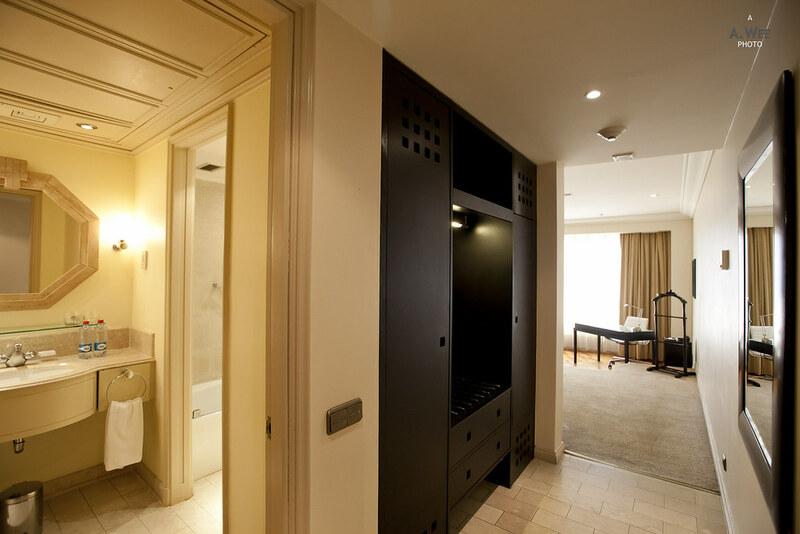 While some might not appreciate the multiple partitions in the bathroom, I think it is nice to have the segmentation. However what is not good was that the shower was in the bathtub and the whole bathroom looks really dated. 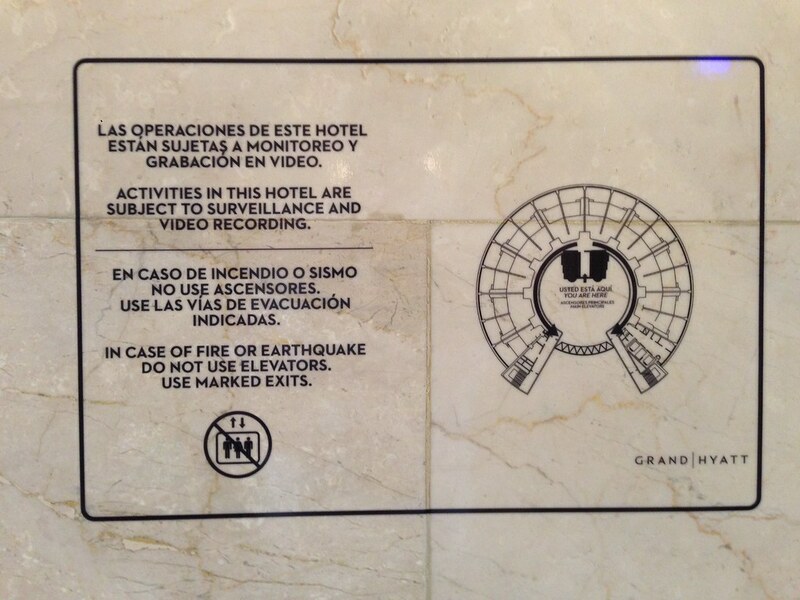 This Grand Hyatt was also unique in not using the usual ‘June Jacobs’ amenity or perhaps Club-level guests are provided a different amenity since it was Omnisens-branded. The neutral scent in my opinion was alright to use but not something I would buy. 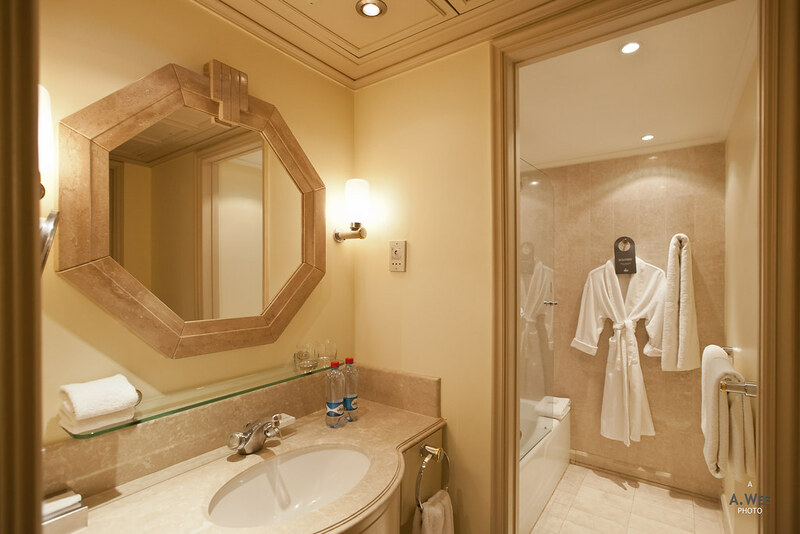 Beside the sink in the bathroom, there was also 2 bottles of mineral water provided with compliments for guests. Inside the bedroom, it feels a lot like a junior suite. There is a large king bed with 2 bedside tables facing the windows. On the corner there is a coat hanger which is nice to have in hotels, and something most business guests would appreciate. On the day I checked in, I had some stuff to work on and stayed in the room. As it so happens, there was some maintenance work on the modem that needs to be done and it was handled professionally with a manager overseeing the work done by 2 maintenance workers. There is a small staircase leading to the lower tier which is where a sofa and armchair is located with a swivelling flat screen TV. There is also a large work desk with a comfortable work chair to enjoy the expanse of the room. It makes it really easy to watch TV from the desk or the bed with the large TV screen. 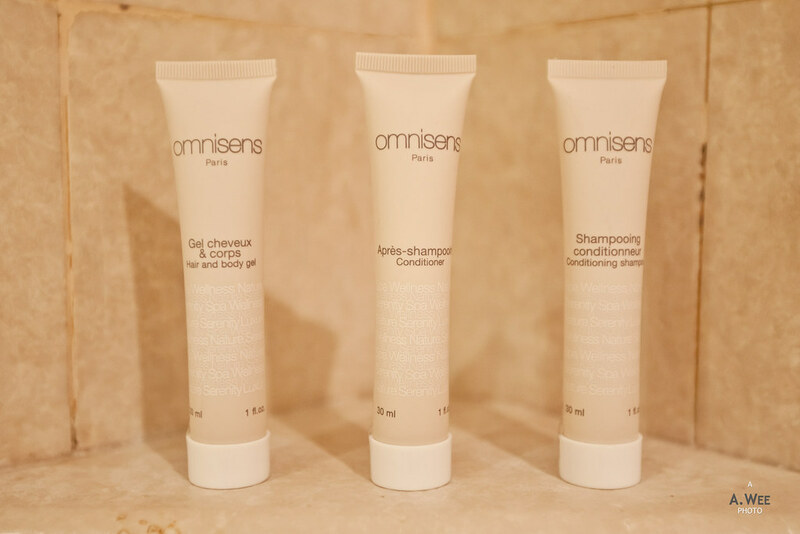 As a luxury hotel, there was evening turndown service every day which ensures replenishment of the bottled water and fresh towels. What I enjoyed the most about the room, though is the wonderful view out from the wide windows. 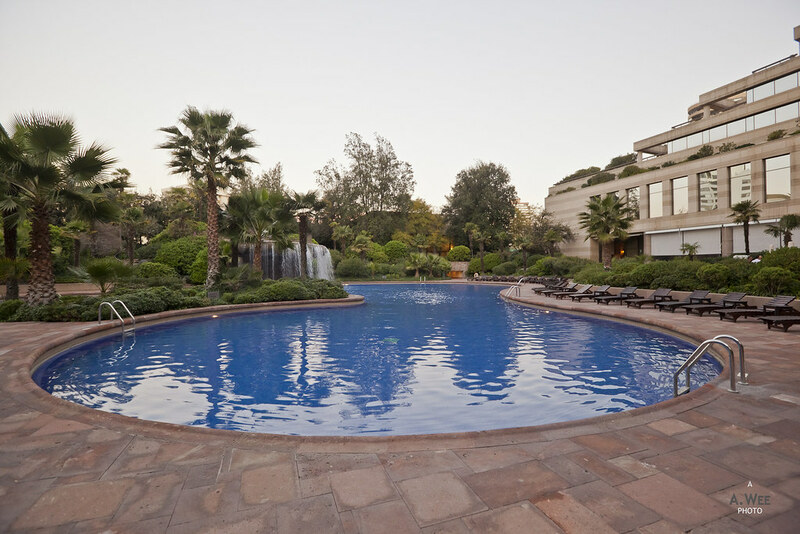 Due to the circular shape of the hotel, nearly all the rooms will have a nice view of the Andes. And the high floor makes the view somewhat better! Being assigned a Club room, I helped myself to evening hors-d’oeuvre in the Grand Club lounge which is conveniently located one floor below my room. 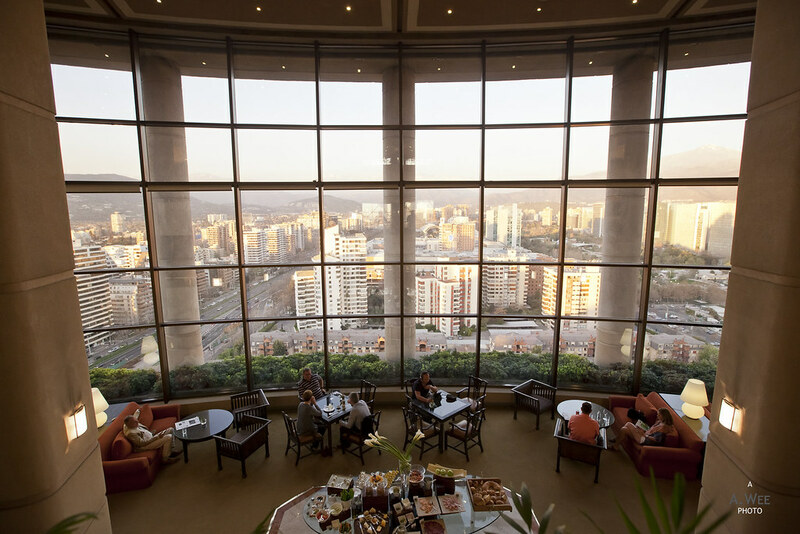 The view from the club lounge is also wonderful and perfect for watching the sunsets and enjoying snacks. 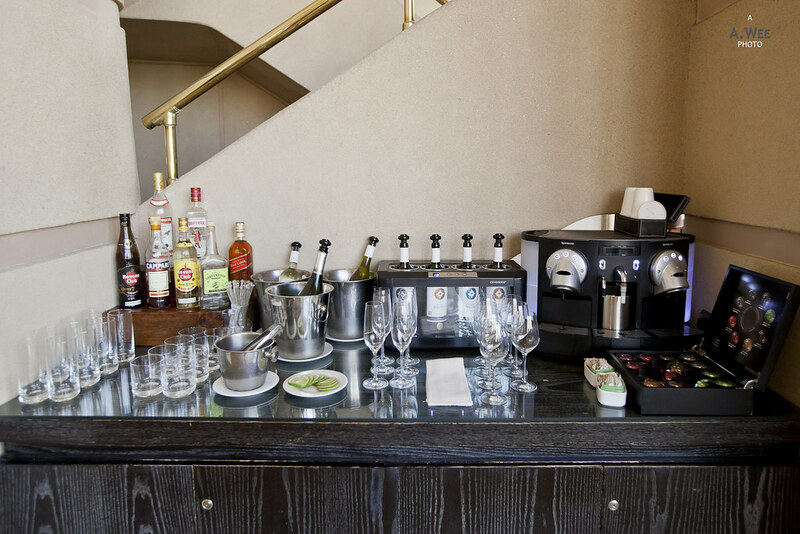 Best of all, the bar counter also houses a Nespresso machine which makes an enjoyable cup of espresso! 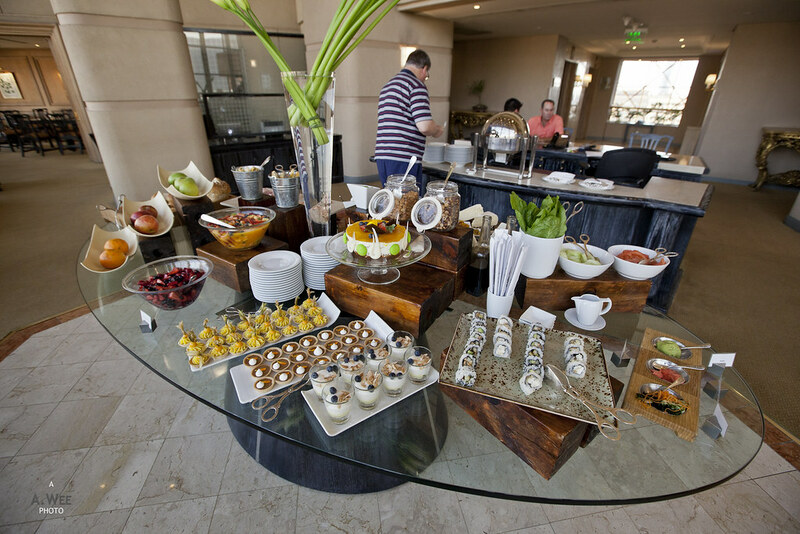 The evening snacks spread was actually decent with a sushi selection, vegetables with dips, parma ham, smoked salmon and other cold cuts. There are also assorted desserts and cakes with fruit cocktails in bowls. While they might not be something for dinner, but they were useful to fill the stomach since Chileans have a habit of having dinner late at around 8-9pm. Thus the evening snacks timing from 5 to 7pm works perfectly for that pre-dinner snacks. 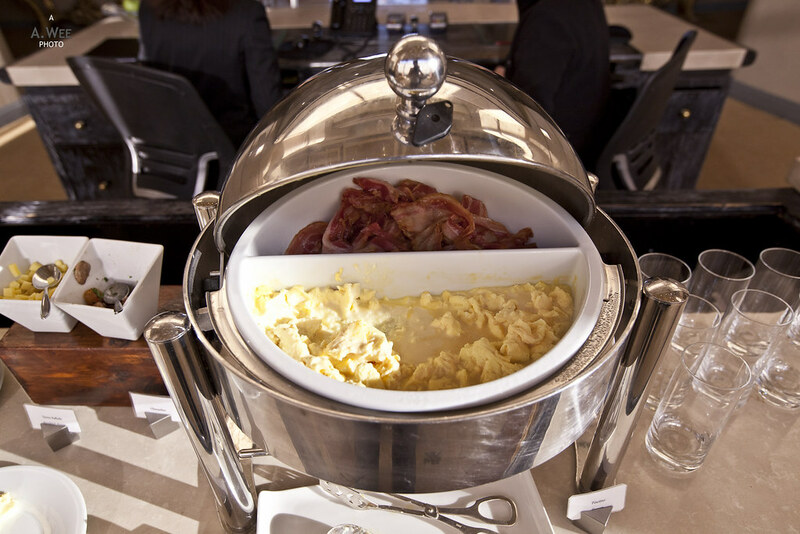 Breakfast was also served at the Grand Club lounge from 6-10am and that was really generous in terms of timing, meaning I was always able to grab a bite before heading out to ski. 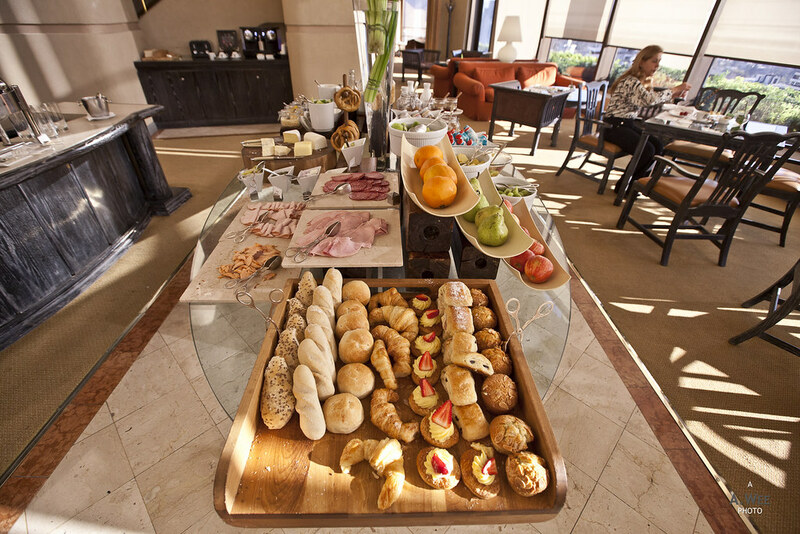 There was not much difference in breakfast at the boutique hotel in Bellas Artes since it was a continental breakfast fare. I appreciated that they at least have a scrambled egg and sausage option. There was a also a better variety of pastries along with dried fruits and nuts in addition to cereal. It might not be the most fantastic breakfast spread but it fills me up nicely every morning. I was also able to grab some fruits and yogurt that I managed to enjoy while on the shuttle to the ski resorts. Aside from the club lounge, the hotel does have a lot of meeting space and would function perfectly for hosting business meetings and other events. There is also a spa and fitness centre, though this was housed in a separate building and due to some upgrading works, guests need to walk outdoors without any shade to get to this separate building. Not a huge problem when the winter weather is sunny and warm! 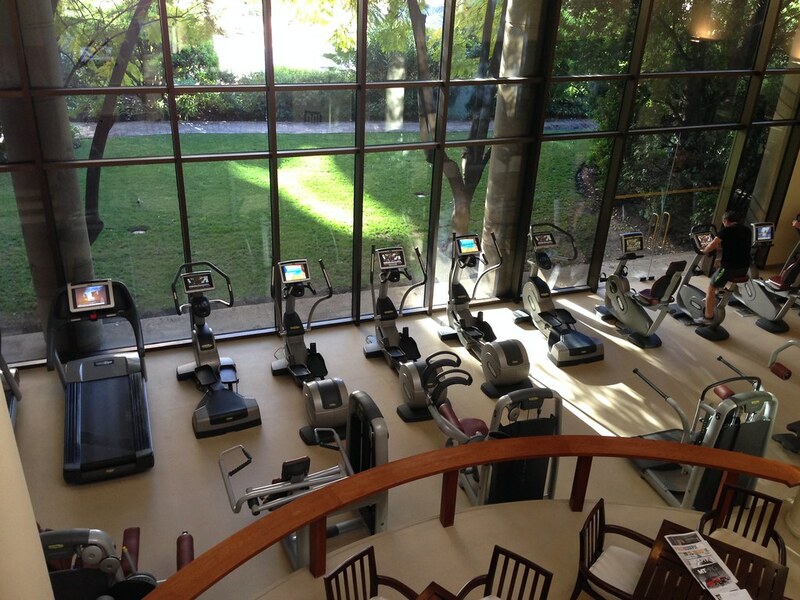 The fitness centre can get crowded in the evenings after work as that is also the time when the lobby also gets busy with most guests returning from work. I had reserved a massage appointment on the last day before I checked out and it was nice to relax the muscles after a few days on the slopes. Prices for the spa was not that cheap but it was quite worth it since the rooms and spa facilities are up to my expectations for a luxury hotel. There are spa loungers on the second floor of the building housing both the spa and fitness centre. 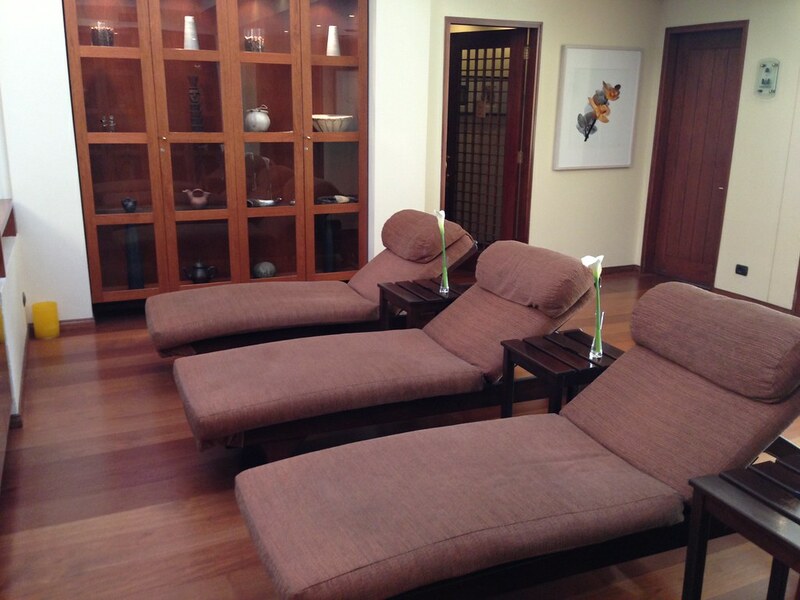 Private treatment rooms are also located in the second floor. 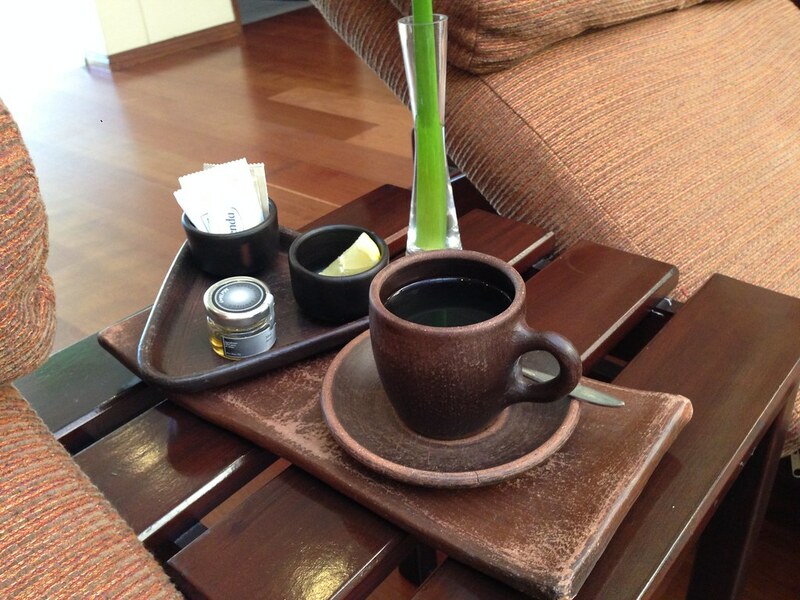 Morning time is recommended for treatments since the place will be quieter and it is nice to relax with a cup of tea after the massage by the loungers. 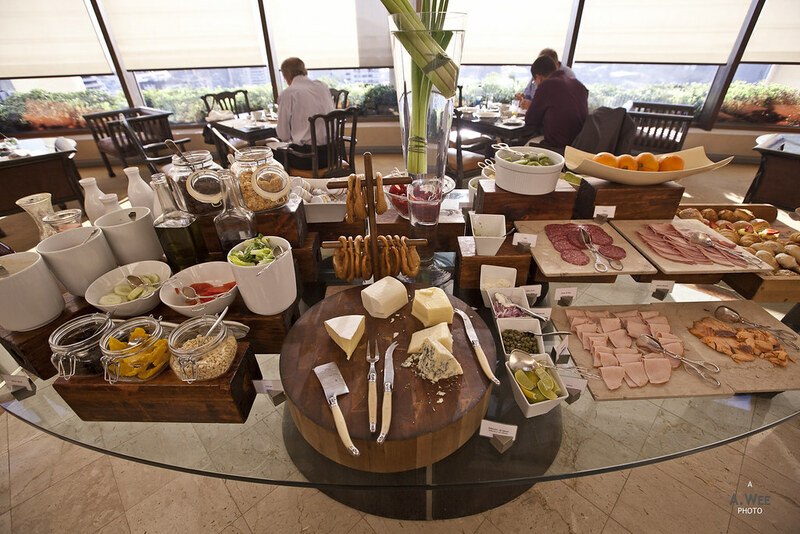 Aside from the usual facilities, the hotel also has a couple of restaurants, mostly located on the lobby level. There is one Japanese and one Thai restaurant, both facing the outdoor swimming pool and gardens and one of them is even located amongst the hotel gardens. Another restaurant is in the lobby with an outdoor patio section. 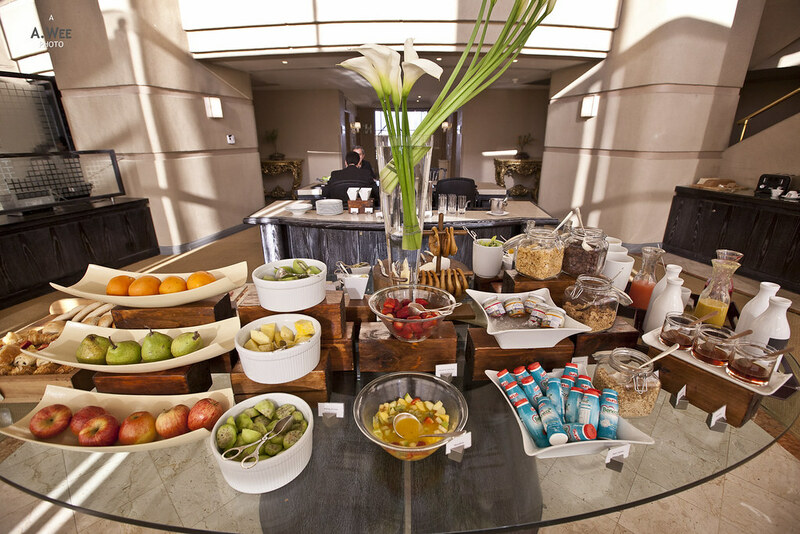 And by the elevator, there is also a lobby lounge that serves snacks and drinks. 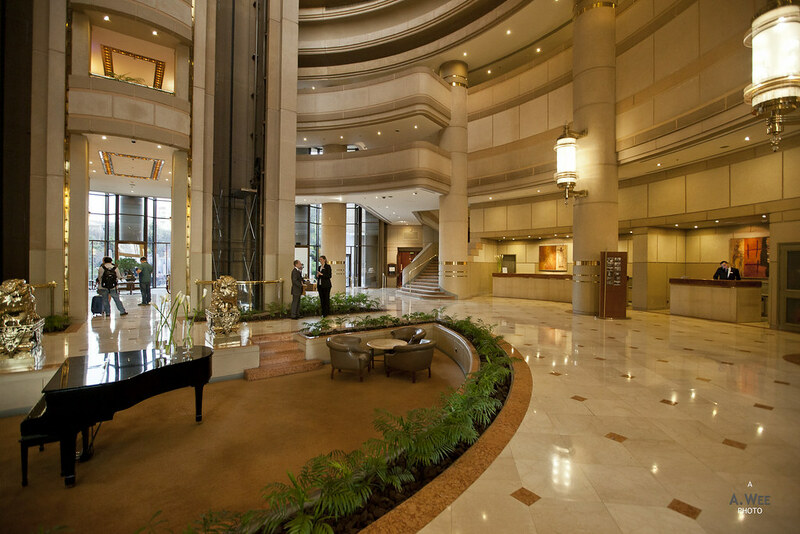 On the lobby floor, there is also the business centre and a bar. Another highlight is the outdoor gardens and swimming pool which is a joy to stroll about in the afternoon though due to the winter season, the pool was supposedly closed but it was still filled with water, just that no one seems to be swimming in it. I would not have minded a dip since it can get quite warm in the afternoon when the weather is sunny. Service throughout the hotel was very good and from the moment I checked in to my interactions with the Grand Club staff, they were all professional in demeanour. The Grand Club staff was also knowledgeable and provided me some tips on driving to Valparaiso since I rented a car. The massage therapist was also excellent in making me comfortable, so all in all I really liked this hotel. 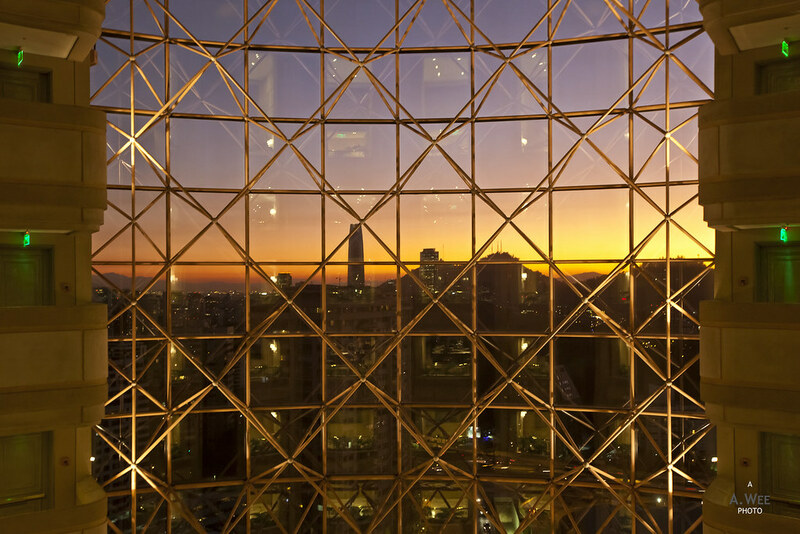 In fact I might even go to say, the Grand Hyatt Santiago was perhaps the best hotel I tried in the city. Because there was 2 other hotels I stayed in Santiago which I would review later on.